Under the traction of technology progress and market demand, various types of micro/nano-satellite systems have been widely developed all over the world. Colleges and universities act as an important driving force of micro/nano satellite technology in the past years. Furthermore, satellite projects play a significant role in scientific research and student cultivarion of colleges and universities. 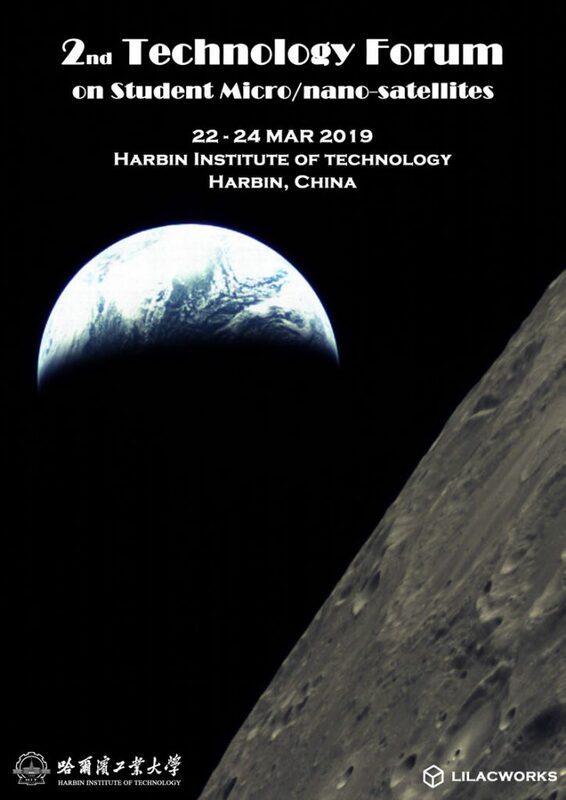 To sum up fruitiul achievement, promote extensive communication and make progress together, Harbin Institute of Technology is scheduled to host a technology forum on student micro/nano-satellites on 22-24, Mar, 2019. The forum commitiee sincerely invites you to be present in the forum. Engineering management and student education involved in micro/nano-satellite developments, etc. An oral report, poster or model display is supposed to be given by every representative to the conference. An abstract (less than 500 words) should be sent to the conference E-mail before 5th, January, 2019. Every oral report is provided within 20 minutes, including 15 minutes for report and 5 minutes for questions and discussion. Excellent international students can apply for travel support fund (refer to Attachment 1). Representatives to the conference need to send the registration form (refer to Attachment 2) to the conference E-mail before 5th, January, 2019.